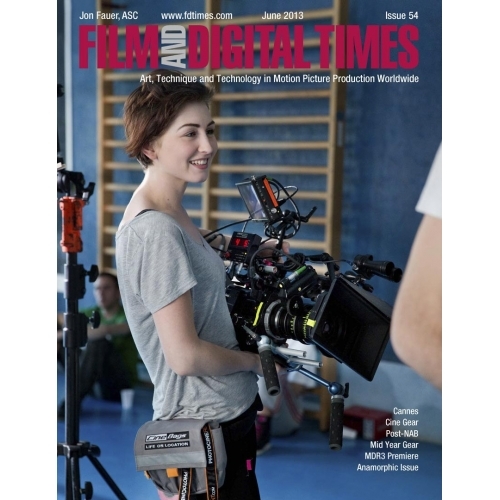 FDTimes anamorphic edition, NAB after-party and the Cannes + Cine Gear mid-year celebration of new cameras, lenses, lights and accessories. Premiere of Preston Cinema Systems MDR3, Charts of Anamorphic lenses from Angenieux, ARRI/ZEISS, Cooke Optics, Hawk, Panavision, Servicevision Scorpiolens. PDF Editions look best with Adobe Acrobat set to: View – Page Display – Two Page View – and – Show Cover Page in Two Page View. 14 MB PDF Download.